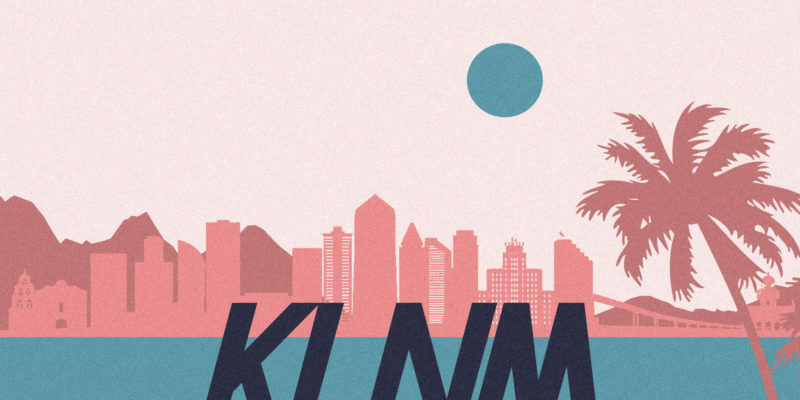 San Diego’s KL Noise Makerz are a band with a brilliant live sound and a nostalgically impressive set-up. This album is everything you might hope for from a modern reggae playlist, but it’s also nothing like you might imagine – there’s a subtle jazz vibe to much of it, and the songwriting is fantastic right the way through. The band seek and will likely succeed to win you over with every new track that plays. Closer is a superb song and a great way to introduce the album. KL Noise Makerz bring through soulful, smooth vibes, organic and skillful, every element feeling perfectly fit and delicately included for the best possible mix. The songwriting shines gorgeously too, the song has character – seeming to fall somewhere between the likes of Jack Johnson and Sublime, but with an air of just a little something that’s crisp, clean, and brand new. My High offers a similar, now familiar string of instrumentation – the energy picks up a little, there’s an underlying pop aura that brings a flicker of Jason Mraz into the journey. There’s definitely a memorable, rhythmically addictive pop quality to this one. As the winter months loom KLNM is all the more crucial in providing musical warmth and reminding you of the good times. Mz Gorgeous follows and offers a similar energy level and a sweet concept that drives with affection and positivity. Things switch up a little with the song Killah, an authentic reggae vibe emerges – the rhythm, the vocal style, the quickness and the harmonies; all of it, when fused with this melody and this string of lyrics, makes for an outstanding and classic feeling hit that’s a total pleasure to stumble upon. A definite highlight, interesting and appealing in an addictive kind of way – pleasantly reminding me a little of Ace Of Base. High Low follows and rightfully mellows things out a little, painting a different soundscape around you and keeping that subtle eclecticism alive and well. The writing here – the melody, the personal touch, the vulnerability – it lets the band connect in an honest and accessible manner; adding even more value to the project. 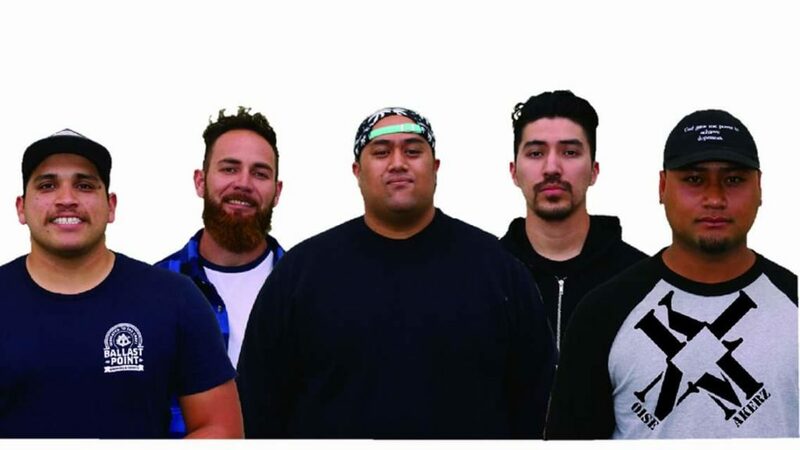 KL Noise Makerz essentially bring through an access-all-areas kind of sound that’s likely to appeal to any number of listeners – all ages, all interests. The reggae sound is well-loved across the globe, and this fresh and somewhat humble approach to it would almost certainly make for a totally enjoyable live show. Gone is another personal highlight, a great song – there’s passion in the vocal delivery, and the song’s hook and overall concept come through with grit and weight. Afterwards, Burning introduces an indie-pop aura with its opening riff. The reggae vibe hits soon enough, and the soundscape grows to become one of the most immersive and easy to escape among of the whole album. The quicker vocal delivery offers something partly John Butler Trio-like and partly a little more classically pop or even RnB – the contrast between the verse and the hook works really well. The Party is another great track, musically it impresses from the offset, vocally there’s a developing sense of rhythm and an influx of poetic, reflective lyrics – all of which raises it even higher. The song’s hook is perfect, a strong moment that stands out among the entire album as it plays. A huge feeling of togetherness emerges. The lyrics inspire positive thinking, overcoming, self-empowerment and possibility. Wanna Get With Ya follows and brings through a slightly retro jazz vibe that mixes things up further. The vocals feel eighties inspired and there’s a whole different energy to this piece. Welcome to the Noise adds a hint of distortion and drives with an impressive, unpredictable structure – the vocal outpouring leans back and forth between gentle and fast-paced. Another fantastic song and a definite latter half highlight. Rapper Lyric features on this and indeed on the previous track – a fitting addition that brings a welcomed new dynamic. Things come to a close with the delightfully classic or even TV-show-like By My Side. The music has a comforting joyfulness about it, the lyrics and the melody feel heartfelt, ending the album with a genuine string of admiration and a clear connection to the music and the genre. This project is a must, refreshing and easy to love – several of the songs have made it into the long-term playlist. A live show is essential for those who can. KLNM was recorded at Trackstar Studios, mixed & mastered by Thomas Burdett. Stream the album via Spotify. Find & follow KL Noise Makerz on Twitter & Instagram.